Won Best Female Playback Singer award for Varayo at the Isaiaruvi awards. Happened to perform there as well. Since this was all over Twitter and was also published in papers I thought I might as well publish it here. Have also been nominated at the Filmfare, my second nomination after Sahana. The other nominees are Rita for Allegra, Suchitra for Oru Chinna Thamarai, Harini for Hasili Fisili and Shreya Ghoshal for Oru Vetkam. Hearty congratulations for adding another feather to your cap!! Congrates chimayi.. wish u get all success and awards for ur cute voice. Congrats and All the best Chinmayi. 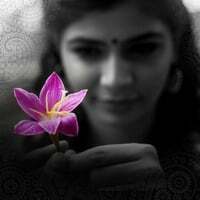 congratulations chinmayi :) to be frank, i was a little apprehensive that shreya ghoshal might win.. Happy to see that you have performed in two of the cities that I love and enjoyed your time there.